Khursheed Mama, DVM, DACVAA, is a professor of anesthesiology at Colorado State University. She earned her DVM from Washington State University and completed an internship in large animal medicine and surgery at University of Guelph and a residency in anesthesiology and critical patient care at University of California, Davis. Her interests are improving anesthetic safety and appropriate treatment of perioperative pain in veterinary patients. Marlis Rezende, DVM, PhD, DACVAA, is an associate professor of anesthesiology at Colorado State University. She earned her DVM from Federal Rural University of Rio de Janeiro in Brazil and her PhD from São Paulo State University in Brazil. Dr. Rezende completed a residency in anesthesia and critical patient care at University of California, Davis. What should I consider when anesthetizing patients with renal disease? Renal disease varies in form and severity. Patients may present with a wide range of conditions, from asymptomatic status to severely compromised. Therefore, anesthetic management strategies must be individualized according to specific patient needs. Patients may present with a wide range of conditions, from asymptomatic status to severely compromised. Anesthetic management strategies must be individualized according to specific patient needs. Renal disease likely goes undiagnosed at its earliest stages because blood urea nitrogen (BUN) and creatinine elevations only occur when renal function is reduced to 50%–70% of normal.1 At the other extreme, animals suffering from uremic toxemia may have CNS and myocardial depression, pericarditis, pneumonitis, coagulopathies, and increased susceptibility to infection and sepsis. Animals with significant renal disease lose the ability to adjust urine volume and content and may present with anemia, systemic hypertension, metabolic acidosis, and hyperkalemia. Chronic kidney disease is often observed as a comorbidity with other diseases, such as in dogs with heart failure caused by mitral valve insufficiency or in cats with hyperthyroidism (which may mask the severity of renal disease). Because of the large variability in type and severity of renal disease, a complete physical examination and laboratory testing (eg, CBC, serum chemistry panel, urinalysis) are used to better define the patient’s condition and determine the best perianesthetic management plan. Preanesthetic stabilization is essential to a successful outcome. For information regarding clinical management of animals presenting with complex or multifactorial disease, refer to comprehensive anesthesia textbooks or consult with a board-certified anesthesiologist (see ACVAA Resources). The American College of Veterinary Anesthesia and Analgesia (ACVAA) is a useful resource for information regarding clinical management of animals presenting with complex or multifactorial renal disease as well as consultation with a local board-certified anesthesiologist (acvaa.org/locator). The kidneys are particularly susceptible to ischemic injury because the distribution of blood flow within the kidneys is not uniform or proportional to demand; despite its higher metabolic rate, for example, the renal medulla only gets 15% of the overall renal blood flow (RBF).1,2 Therefore, a decrease in cardiac output and blood pressure—as may be observed with anesthetic drug administration—has the potential to further compromise renal function. To ensure adequate oxygen delivery to the kidneys, anesthesia should be focused on maintaining circulation and oxygen-carrying capacity. To ensure adequate oxygen delivery to the kidneys, anesthesia should be focused on maintaining circulation and oxygen-carrying capacity. Hypovolemia, hypotension, dehydration, hypoproteinemia (low colloid oncotic pressure), and acid–base and electrolyte abnormalities should thus be corrected before anesthesia is administered. Packed red cell transfusions should be considered in anemic patients. Recommendations for an exact value (for PCV) vary, as the need depends on other factors such as chronicity of disease, cardiovascular status of the patient, concurrent disease, and others. It is broadly recommended that transfusion is indicated when the PCV is 20%–23%. Elective procedures should be delayed until patients can be stabilized adequately. While emergency procedures may not be postponed, time should be taken to improve the patient’s condition as much as possible before the procedure, with special attention to the most life-threatening abnormalities (low circulating volume, hyperkalemia, metabolic acidosis, severe anemia). Supplemental oxygen during the perianesthetic period (ie, face mask, induction box, oxygen case) may help prevent hypoxemia and hemoglobin desaturation and improve oxygen content in severely anemic patients. Systemic hypotension has a direct effect on renal perfusion because autoregulation is compromised when mean arterial pressure decreases below 80 mm Hg and the kidneys can no longer control their own blood flow, which then becomes directly proportional to mean arterial pressure. In addition to decreasing anesthesia depth (when possible, or using a balanced anesthetic technique) and maintaining circulating blood volume via appropriate IV fluid administration, inotropic drugs (dopamine 5 µg/kg/min or dobutamine 2–5 µg/kg/min) may be used to support myocardial function and, as a consequence, increase cardiac output, blood pressure, and RBF. Vasopressors are not typically advocated because excessive vasoconstriction can negatively affect RBF despite normal or high blood pressure. While most anesthetic drugs do not negatively affect the kidneys directly, general anesthesia can significantly decrease cardiac output and hence blood flow to the kidneys, so the anesthetic protocol should favor drugs that best preserve cardiovascular function and minimize renal vasoconstriction. Opioids (eg, hydromorphone or oxymorphone 0.05–0.1 mg/kg SC or IM) may be used to provide sedation (euphoria in cats is possible but unlikely at the lower end of the dose range) and analgesia and facilitate a reduction in the dose of anesthetic induction and maintenance agents required. If warranted, an anticholinergic (eg, atropine 0.02–0.04 mg/kg SC) may be used to prevent opioid-induced bradycardia. Because a2-agonists (eg, dexmedetomidine, medetomidine, xylazine) cause significant vasoconstriction and decrease cardiac output, they should be avoided in these patients. Anesthesia induction in severely compromised dogs is performed safely with a combination of an opioid and a benzodiazepine (eg, fentanyl 10 µg/kg IV or hydromorphone 0.1 mg/kg IV and midazolam 0.25 mg/kg IV). Supplemental administration of an anticholinergic (eg, atropine 0.01–0.02 mg/kg IV) might be needed to maintain heart rate. If additional anesthetic drug is needed to perform intubation, a small dose of ketamine or propofol (1–2 mg/kg IV titrated to effect) may be used. For severely affected cats, a lower opioid dose (eg, fentanyl 3–5 µg/kg IV) may be used with a benzodiazepine and an adjunct drug such as ketamine (2–3 mg/kg IV). Alternatively, etomidate (0.5–2.0 mg/kg IV), which has a wide margin of cardiovascular safety, may be administered with a benzodiazepine. Dilution of this highly osmolar drug is recommended to prevent hemolysis. Induction with ketamine and midazolam (5–7 and 0.3 mg/kg IV, respectively) is appropriate for stable dogs and cats with mild renal disease. Cats are unable to completely metabolize ketamine and eliminate the active drug through the urine. Hence prolonged effects may be noted in oliguric patients. If oliguria or anuria is post-renal, ketamine can be used provided the urethral obstruction can be corrected readily. 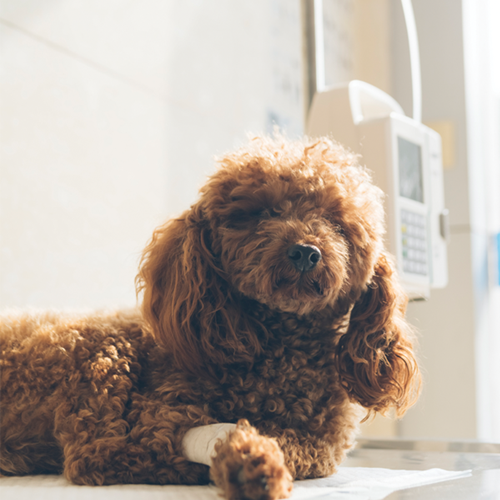 Propofol may be used in minimally affected dogs or cats; because it has the potential to cause vasodilation and hypotension, however, its use should be avoided in debilitated patients (particularly those with fluid deficits). Combinations of propofol with opioids, benzodiazepines, and/or ketamine help reduce the dose of propofol and are thought to decrease these negative effects. Table is not all inclusive. Refer to text for additional information on anesthetic protocols. Anesthesia for patients with renal disease should focus on maintaining optimal renal perfusion and oxygenation. Dopamine has dose-dependent agonist effects at dopaminergic, ß-, and a-receptors. At low doses (<3 µg/kg/min), dopamine is a nonselective dopaminergic agonist (DA-1 and DA-2) and can increase RBF and glomerular filtration rate, induce sodium diuresis, and decrease tubular oxygen consumption in species with renal dopamine receptors (humans, dogs, rabbits, and rats but not cats). While the beneficial effects of low-dose dopamine on renal function remain controversial,6-8 inotropic doses (5 µg/kg/min) are considered beneficial because they increase blood pressure, cardiac output, and RBF. Dopamine doses of 10 µg/kg/min or higher are generally avoided because of vasoconstriction, which may limit RBF. The authors routinely use dopamine (titrated to effect) in patients with renal disease to maintain cardiac output and blood pressure. Fenoldopam is a selective DA-1 receptor agonist that has been shown to increase RBF and urine output and cause natriuresis in both humans and dogs.9-11 In dogs, it is typically administered at 0.1–0.2 µg/kg/min10 because higher doses are associated with hypotension during anesthesia. Hypotension is a potential side effect of fenoldopam as a result of its peripheral vasodilatory properties. However, glomerular filtration rate and RBF seem to be maintained even in the face of decreased blood pressure. Studies in humans undergoing cardiovascular surgery have offered promising results, indicating a clinical benefit and improved outcome with the use of fenoldopam,12 but more studies are needed to confirm these findings. Nevertheless, its current high cost might limit fenoldopam use in veterinary practice. disease. Therefore, the use of isoflurane is generally recommended. Support and monitoring should be consistent with the standard of care and modulated further according to disease severity and potential comorbidities as well as expected duration of anesthesia. Typically, this includes evaluation of blood pressure (direct arterial blood pressure monitoring is recommended in severe cases), heart rate and rhythm, oxygenation, ventilation, and body temperature. In compromised patients, additional monitoring of blood gases, electrolytes, acid–base status, urine output, and PCV/TP helps to facilitate timely intervention. Appropriate IV fluid therapy should be instituted to maintain oxygen delivery, with inotropic support added as needed to support cardiac function. Isotonic crystalloid fluids (eg, lactated Ringer’s solution, Plasma-Lyte) are preferred and typically used at 5–10 mL/kg/h during anesthesia (except for anuric patients, as they are at a high risk for fluid overload). Synthetic colloid use should be minimized in these patients, as there is growing evidence of potential negative renal effects in humans (at this time, no data are available to indicate whether the same is true for animals).3,4 Ventilatory support may be required when high doses of opioids are used during anesthesia. Supplemental oxygen should be provided before induction and during the recovery period. Hypothermia should be prevented with active warming devices. Anesthesia for patients with renal disease should focus on maintaining optimal renal perfusion and oxygenation. Therefore, dehydration, low circulating volume, hypotension, anemia, and oxygen desaturation should be avoided during anesthesia. A thorough evaluation to assess patient condition and anesthetic risk, followed by adequate stabilization prior to anesthesia, are key to preventing further renal damage. 1. Renal disease. Greene SA, Grauer GF. In Tranquilli WJ, Thurmon JC, Grimm KA (eds): Lumb & Jones' Veterinary Anesthesia and Analgesia, 4th ed—Ames: Blackwell Publishing, 2007. 2. Glomerular filtration and renal blood flow. Giebish G, Windhager E. In Boron W, Boulpaep EL (eds): Medical Physiology—Philadelphia: Elsevier Saunders, 2005. 3. Effect of hydroxyethyl starch on postoperative kidney function in patients having noncardiac surgery. Kashi BK, Podolyak A, Makarova N, et al. Anesthesiology 121:730-739, 2014. 4. Hydroxyethyl starch (HES) versus other fluid therapies: effects on kidney function. Mutter TC, Ruth CA, Dart AB. Cochrane Database Syst Rev 7:CD007594, 2013. 5. Interventions for protecting renal function in the preoperative period. Zacharias M, Mugawar M, Herbison GP, et al. Cochrane Database Syst Rev 9:CD003590, 2013. 6. Renal oxygenation in clinical acute kidney injury. Ricksten SE, Bragsdottir G, Redfors B. Crit Care 17:221, 2013. 7. Meta-analysis: low-dose dopamine increases urine output but does not prevent renal dysfunction or death. Friedrich JO, Adhikari N, Herridge MS, Beyene J. Ann Intern Med 142:510-524, 2005. 8. Effects of dopamine infusion on cardiac and renal blood flows in dogs. Furukawa S, Nagashima Y, Hoshi K, et al. J Vet Med Sci 64:41-44, 2002. 9. The effects of fenoldopam, a selective dopamine receptor agonist, on systemic and renal hemodynamics in normotensive subjects. Mathur VS, Swan SK, Lambretch LJ, et al. Crit Care Med 27:1832-1837, 1999. 10. Effects of prophylactic fenoldopam infusion on renal blood flow and renal tubular function during acute hypovolemia in anesthetized dogs. Halpenny M, Markos F, Snow HM, et al. Crit Care Med 29:855-860, 2001. 11. The effects of fenoldopam on renal blood flow and tubular function during aortic cross-clamping in anaesthetized dogs. Halpenny M, Markos F, Snow HM, et al. Eur J Anesthesiol 17:491-498, 2000. 12. Fenoldopam and acute renal failure in cardiac surgery: a meta-analysis of randomized placebo-controlled trials. Zangrillo A, Biondi-Zoccai GG, Frati E, et al. J Cardiothorac Vasc Anesth 26:407-413, 2012. Acute renal failure. Langston CE. 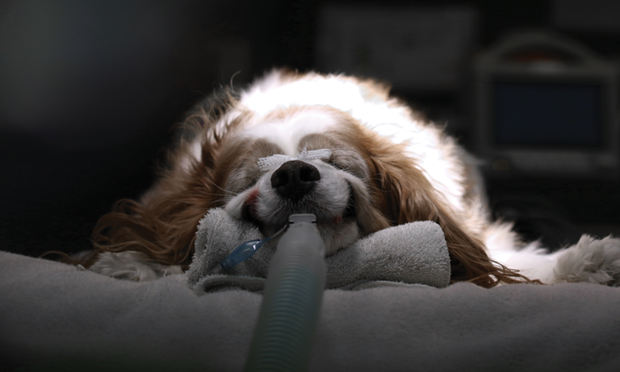 In Silverstein DC, Hopper K (eds): Small Animal Critical Care Medicine—St Louis: Elsevier, 2009. Chronic renal failure. Langston CE. In Silverstein DC, Hopper K (eds): Small Animal Critical Care Medicine—St Louis: Elsevier, 2009. Fluid therapy during intrinsic renal failure. Chew DJ, Gieg JA. In DiBartola SP (ed): Fluid, Electrolyte, and Acid-Base Disorders in Small Animal Practice, 3rd ed—St. Louis: Elsevier, 2006. Kidney oxygenation and haemodynamics in acute kidney injury and chronic kidney disease. Singh P, Ricksten SE, Bragadottir G, et al. Clin Exp Pharmacol Physiol 40:138-147, 2013. Oliguria. Rieser TM. In Silverstein DC, Hopper K (eds): Small Animal Critical Care Medicine—St. Louis: Elsevier, 2009. Renal protection strategies in the preoperative period. Jarnberg PO. Best Pract Res Clin Anesthesiol 18:645-660, 2004.